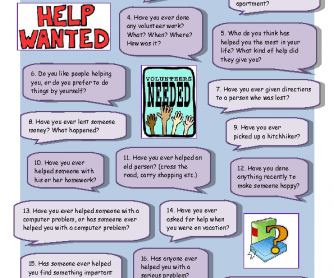 Discuss, Chat or Talk About... "Help"
Here is another of my themed conversation worksheets. 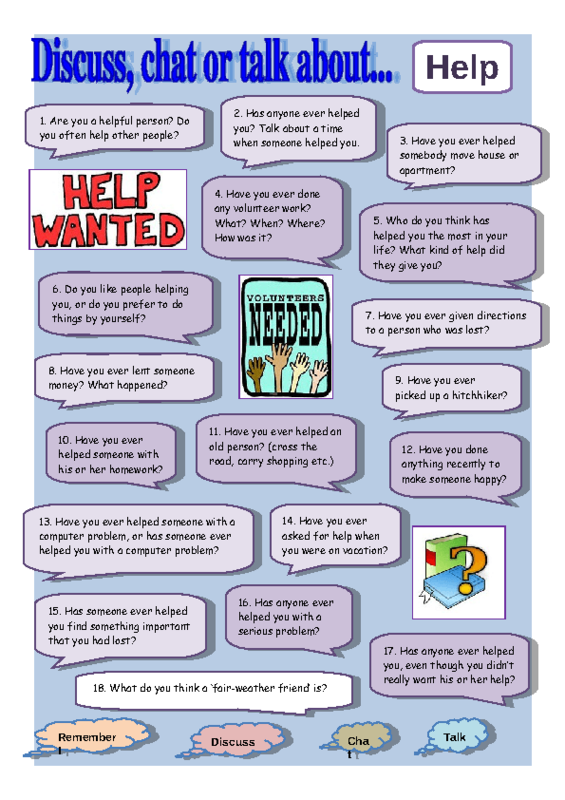 This worksheet covers the topic of help. Personally, I love using this kind of sheet to stimulate conversation. I hope you find it useful, and please message me if you notice any mistakes or errors on my worksheets. Thanks. Discuss, Chat or Talk about... "Family"
Discuss, Chat or Talk About... "Phones"